Ocean Jasper is actually a mixture of different forms of quartz, clear and colored varieties of chalcedony, banded agate, and pockets of tiny quartz crystals called druzy. It is found in Madagascar. 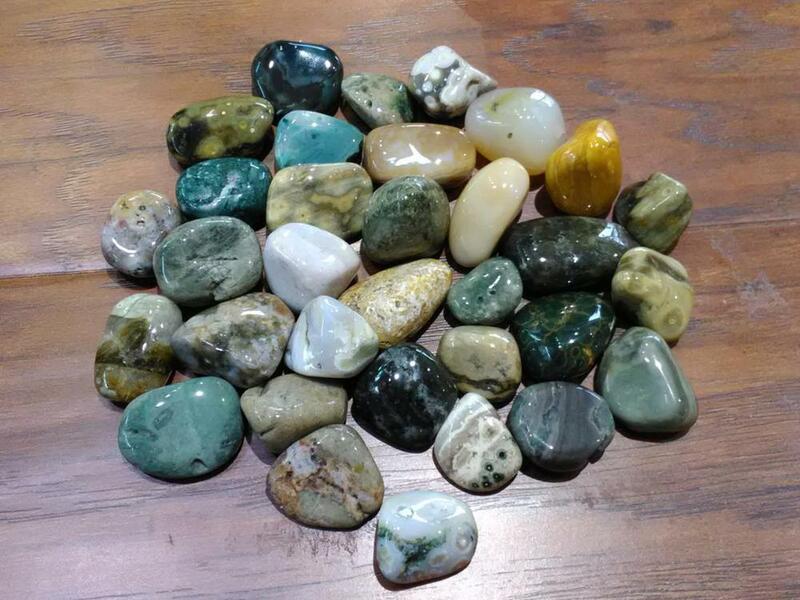 Ocean Jasper relieves stress and induces tranquility. Its cleansing effect eliminates negative energy and stabilizes the aura. It is a stone for banishing nightmares or harmful thoughts.